It's hard to keep your cool when dealing with difficult customers. After all, it's only human to get defensive and fight back—or cave in and give them whatever they demand. 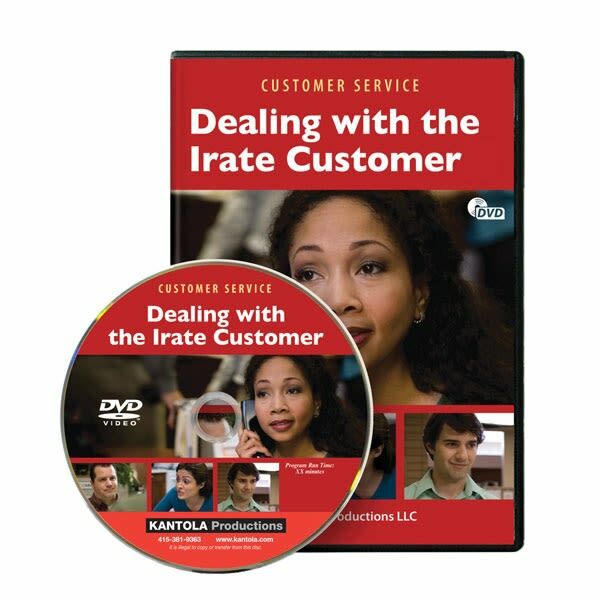 The guidelines presented in this training video will help you calm angry customers. Once you bring them around, they're more likely to work with you to find a resolution that solves their complaint yet is fair to your organization. Your employees will learn to stay professional and not take it personally when they have to deal with difficult customers, whether in retail, health care, government, or wherever. They'll learn that their basic customer service skills are a first line of defense—it's hard for customers to be mean to someone who's being nice to them. And they'll learn three powerful "breakthrough techniques" that can be used if the situation escalates and threatens to get out of hand.